This is a subject all on its own but it is well known that modern life has a big part to play in the rapid increase of anxiety and depression conditions, so take back control and minimise your exposure to the harmful way subconscious conditioning all around you. The sensationalised headlines and scaremongering news on the TV and radio is bad from you, repeated exposure to headlines that are deliberately sensationalised to hold your attention by raising anxiety levels are not helpful for anxiety and depression. By switching it off you will not miss out on current affairs you just wont get so anxious about it. The On/Off button is within your control. Change how you respond to social media and messages. These days in being able to see when someone has read messages on various social media and apps prompts the question of ‘why haven’t they answered’ at which point your imagination takes over and you make up all sorts of reasons that become increasingly negative the longer the message goes unanswered. This is your imagination, you don’t know why, so take back control and change your strategy with regard to social media. In addition it is very easy for messages to be misunderstood because they are missing natural human prompts for accurate interpretation such as body language and tone – emojis don’t cut it when there’s doubt in the meaning or they’re accidentally missed off. You already know without anyone having to point it out that the hot spots for your mind going into overdrive with worrying, negative forecasting or negatively introspecting is when you are alone with too much thinking time. In the evenings, at bed time, on the commute to and from work and other times when you aren’t doing anything that requires your brain’s attention it defaults to the worrying, what if-ing and negatively introspecting. It is within your control to reduce the available time your mind has to do this. A good strategy is to get out and be with people (not repeating what’s going on inside your mind) taking an interest in the world outside your own. Another great benefit of being with people is that it creates dopamine and serotonin, feel good neurotransmitters that are essential for a calm happy mind. At times when it’s necessary to be on your own, use the other techniques here or use a hypnosis track to help your mind detach from your problems. It doesn’t matter what it is, but every time you achieve something you’ve been meaning to do, you feel good about it. That feeling is the seratonin you’ve just created and this is good for you. It doesn’t matter how small the thing is, it might just be doing some gardening, watering the plants, changing the sheets on the bed, doing the washing up, going for a bike ride, facing your finances – the list could be endless, but most importantly it is something you want to do that you will feel better for having done. Stop procrastinating and do it, it is within your control and choice. Your brain loves learning, it’s a muscle it needs exercising and if you’ve got anxiety or depression the exercise it’s currently getting is completely the wrong type of exercise. You need to fill your mind with good stuff and keep it focused on something positive, something you’re interested in. It is never too late to learn and your brain will thank you for it. The fastest route to happiness is through giving of yourself unconditionally to help other people (or animals). You might not feel like it, but you will feel better for doing it. The first few times you might feel a bit uncomfortable, but that will quickly pass as you become part of something that is greater than you and you’re contributing to something where you’re making a difference. The biggest argument someone puts up for not volunteering is that they don’t have time – find time. You will find time for whatever are priorities in your life, make it a priority and give of yourself. You will get back ten-fold and apart from meeting new people, socialising, spending less time along and doing something worthwhile, it will help your anxiety and depression. In the downtime when you are not doing something that engages your brain but you have to be alone with your own thoughts, such as driving, ironing, cooking, doing something manual or at night in bed when you can’t sleep, listen to audiobooks. I cannot stress this one enough, you need to focus your mind elsewhere and where the radio or music alone can’t grab both your conscious and subconscious attention an audiobook will. All that’s important is that you enjoy it or find it interesting – if you don’t, change the book. Programs like Audible allow you to just send a book back and change it free if you don’t like it, so the investment is worth every penny. You can use time to get yourself educated or just enjoy a good story, its up to you. It creates serotonin, the feel good neurotransmitter that helps you cope and motivates you. The positive effects exercise has on your body are just side effects, the real benefits of exercising regularly are on your mental health, it makes a huge difference. 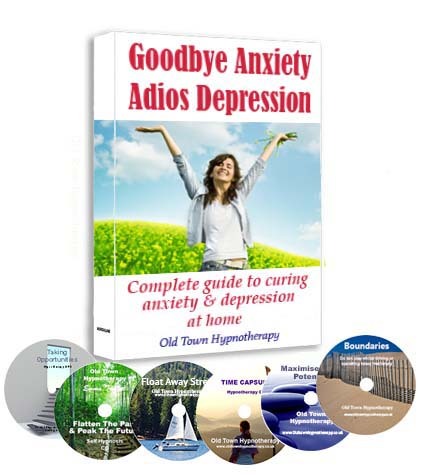 You will no doubt have your own theories and reasons for your anxiety and depression. Things you can identify are the cause or things you can blame it on that are out of your control or from your past, it’s what everyone does. 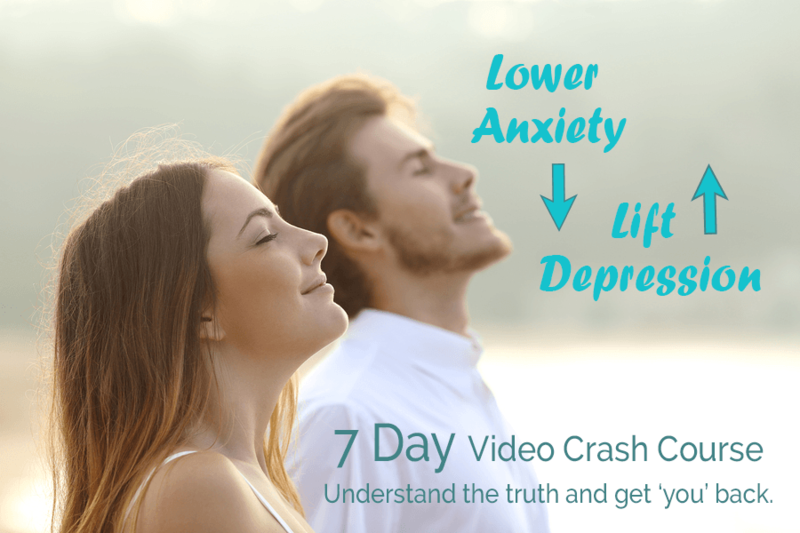 However, until you understand the truth behind anxiety and depression, what is actually causing it and what you can do to take control and change it, nothing is going to change. If you have reasoned with yourself and believe you know what is causing it, but nothing is changing it or those things you’re blaming are not within your control then nothing is going to change for you in the short term. When you know the truth, you can do something about it and you will because it is easier than you think when you know how. One important concept to understand about the brain is that ‘whatever you believe is true’ Whether you believe you can or believe you can’t you are right. So, if you are suffering from anxiety or depression until you change your belief and understanding about the condition you will continue to perpetuate the illness. All the above things are definitely within your control and a choice to do or not do. The most powerful factor to make those changes or get in your own way and sabotage your efforts is YOU. You have a choice, it is your mind and you can choose to think in a way and do things that are helpful or you can continue to think in an unhelpful way, do nothing different and make no changes. This is at Number 1 because it is your choice and the most important thing you can do to help anxiety and/or depression. Don’t forget, you can always get in touch if you need help with something specific or you would like me to point you in the right direction to start your own change reaction to a more positive future. … and how can it help you make changes quickly?